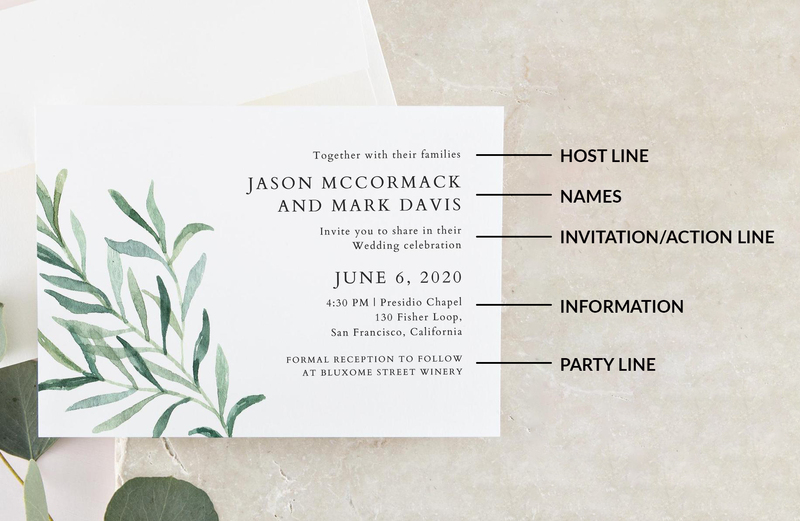 Figuring out your wedding invitation wording is all about figuring out what the rules are… and then figuring out how you want to strategically break them (kind of like all of wedding planning right?). Your job is to come up with wording that makes you and your partner happy and causes minimal family stress. Because for whatever reason, family (being family) sometimes use wedding invitations as a flashpoint to unpack allll the family drama. Because of that, the conventional structure of wedding invitations can be a helpful starting point. Here is a general outline of how the wedding invitation often breaks down, with specific examples to follow. The Names: This line seems self-evident until you start thinking about the details. Whose name goes first? 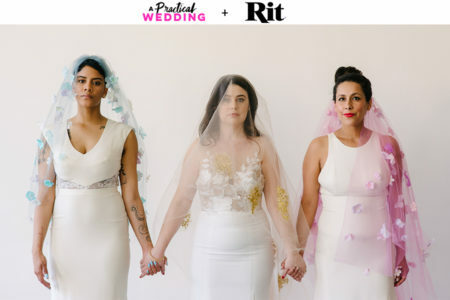 (That honor traditionally belongs to the bride, but what if there are two brides? Or all grooms? Or you just don’t want to do it that way?) Will you list both last names, or one last name, or no last names? Will the names be on the same line or different lines? There are no right or wrong answers (though I’m partial to listing everyone’s last name), but several good questions. The Information: This is the one line where I strongly advise you to stick to the basics, since you want people to actually come to this thing. Time, date, and location should all be listed (though the address does not have to be, assuming it’s otherwise easy to find). 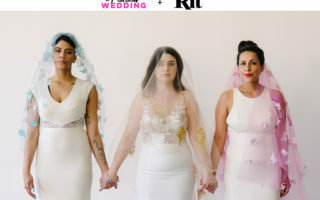 The Party Line: What’s coming after the wedding? This is both your time to get celebratory and your time to give guests a solid idea of what to expect. If you’re not serving a full meal, this would be a great place to say “Cake, punch, and revelry to follow”; this line could also say “Dinner and dancing immediately following,” or inform them of a gap of time or location change, “Party to follow at 7pm at Delfina.” You can also use this line to just get creative and set the tone for the celebration. “Wild celebration to follow,” “Confetti and magic to follow,” “Join us for an intimate dinner following…” Here, the sky really is the limit. For more specifics, we’ve provided some wedding invitation wording samples that vary from classic to whimsical. Note: if you like any of the invitations featured in this post, you can get them from Zola’s brand new line of printed wedding invitations and save-the-dates (you may already know Zola for being one of the first truly modern online wedding registries and for their actually useful planning tools.) While they didn’t sponsor this post, we do get a small commission every time you sign up for their free planning tools or purchase your wedding invitations through them, which is how we’re able to provide this content to you for free. Plus they’re stylish and affordable and currently 30% off until the beginning of February when you use the code PAPER30, so win/win. It’s outside, so stiletto heels might be a problem! What are you doing Saturday, June 8th at 4:30 PM? Open bar, so you know it’s on! 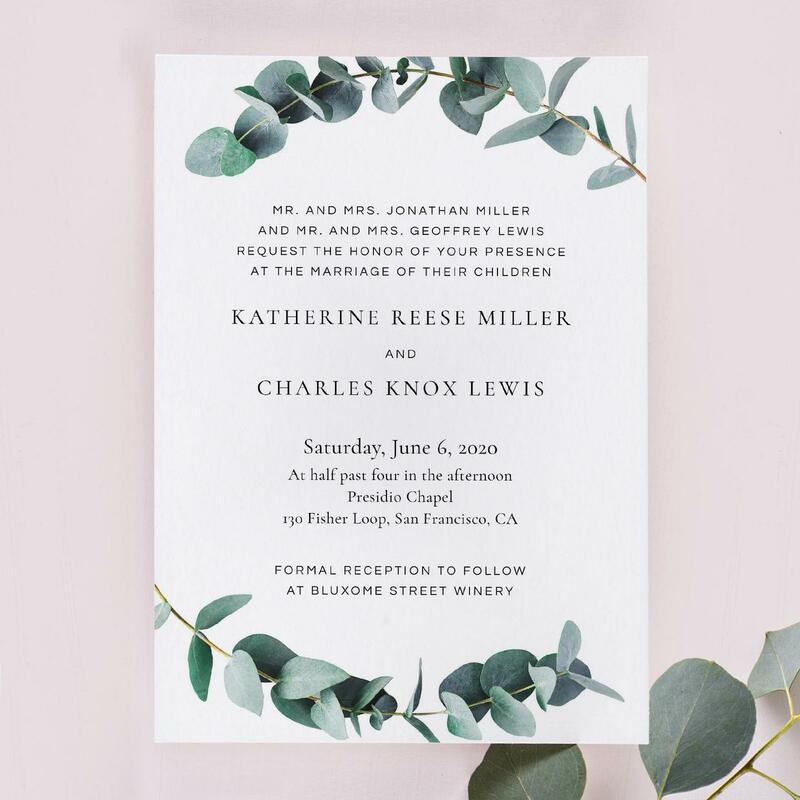 What wedding invitation wording did you use? If you had to do it again, would you make any changes? Photos of your invitations for cute bonus points (we know y’all have good taste). All of the images in this post are from Zola’s brand new printed wedding invitation and save-the-date collection. While Zola did not sponsor this post, we do receive a small commission when you sign up for their free wedding planning tools, start your registry, download their app, or purchase your invitations through Zola. Those dollars are what make it possible for us to give you this content for free. It doesn’t hurt that Zola also has some of the best wedding planning tools on the market (trust us, we’ve tried them all) and one of our very favorite online registry platforms too. So if you want to support APW and make your planning journey a little easier, go sign up for Zola today, create your registry with them right here, and start browsing those invites.